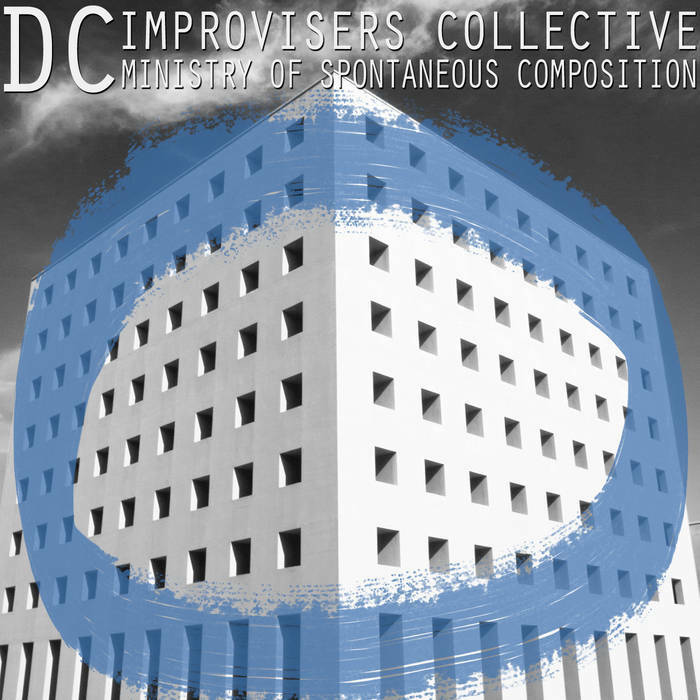 In 2014, the D.C. Improvisers Collective released In the Gloam of the Anthropocene, a stellar effort that combined improvised jazz with a myriad of other influences: driving post-rock, shimmering drone, and circular rhythms that approached krautrock in their machine-like regularity. Each iteration of the Collective has undergone slight line-up changes, but Ben Azzara (drums) and Jonathan Matis (electric piano) seem to be the members who’ve stuck around the longest. 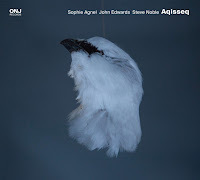 On this, their newest recording, those two are joined by Chris Brown (bass and electronics), John Kamman (guitar), Ben Redwine (clarinet), and Patrick Whitehead (trumpet/flugelhorn). 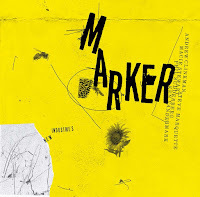 The result is an album that distills and refines the essence of what the Collective do best: long-form improvisations that seamlessly integrate a number of moods, styles, and rhythmic modes. 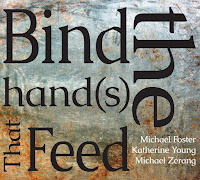 The first and longest piece here, “The Division of Unlearning,” starts with a slippery, circular stream of notes from clarinetist Ben Redwine, and steadily adds layers from there. Soon, the band is locked into a tight, swinging groove that seems to owe more to the group’s jazz influences than anything else. However, the D.C. Improvisers Collective is never comfortable sticking with one style for too long - after a few minutes, drummer Azzara lays down a sturdy, relaxed rhythm, Matis’s electric piano takes a more prominent role, and the overall effect is of a transformation from the jazz idiom to something resembling 70’s prog-rock (think: Can, or the jammier side of Pink Floyd) Midway through, Redwine’s snaky clarinet returns, Azzara speeds up the tempo, and (with John Kamman’s guitar sounding straight out of Agharta) the band offers a healthy dose of sinister fusion. It’s this constant restlessness and eagerness to try new things that sets the D.C. Improvisers Collective apart and makes them such an idiosyncratic force; furthermore, they never sound like a cheap imitation or ersatz copy of the music they are tipping their caps too - if anything, the band breathes new life into some of these genres, showing how slight alterations and recontextualizations can resuscitate even the crustiest stylistic corpse. “The Division of Unlearning” ends with a section that sounds as if it could fit comfortably on the eponymous first album from Neu! There are propulsive drums, airy melodies that wind in and out, and an overall sensation of forward movement, joyous and irrepressible. The other two pieces are much shorter, but they are not lacking in the exploratory impulse that is in evidence all throughout the first. “Unified Conspiracy Theory” starts at an unhurried pace, with the players contributing in brief, leisurely stretches. 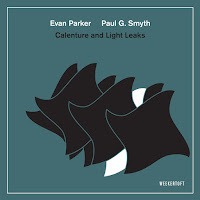 As the piece develops, though, the relatively stable structure begins to show cracks: Whitehead’s trumpet and Redwine’s clarinet drop their fetters, so to speak, spiralling upwards in progressively more unrestrained eddies; the guitar spits and snarls; Chris Brown weaves a jaunty bass-line throughout. Just when things seem to be on the verge of disintegration, the piece is overtaken by swathes of electronic noise, and the players ride the wave of ambience to its conclusion. “Dark Matter Denial” is a bluesy, swaggering track, Jonathan Matis leading the way with a menacing, yet alluring, melody on the keys. 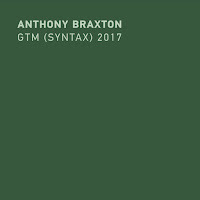 Compared to the rest of the album, this piece doesn’t really change directions or veer off in unforeseen ways; the percussion and keys are rock-steady, acting as a canvas upon which the other players can paint. 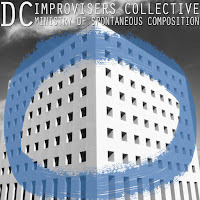 At the album’s close, the members of the D.C. Improvisers Collective erupt into laughter, undoubtedly feeling elated at the glorious noise they’d just created. I’d be lying if I said I didn’t feel the same way after hearing it!